The C70 70th Anniversary Vacuum Tube Preamplifier harkens back to yesteryear with an all analog design and a retro look. The C70 70th Anniversary Vacuum Tube Preamplifier harkens back to yesteryear with an all analog design and a retro look. 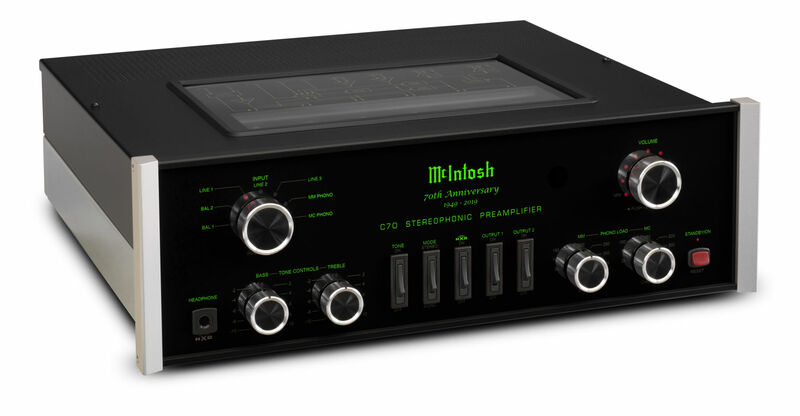 The glass front panel is inscribed with special McIntosh 70th Anniversary lettering. 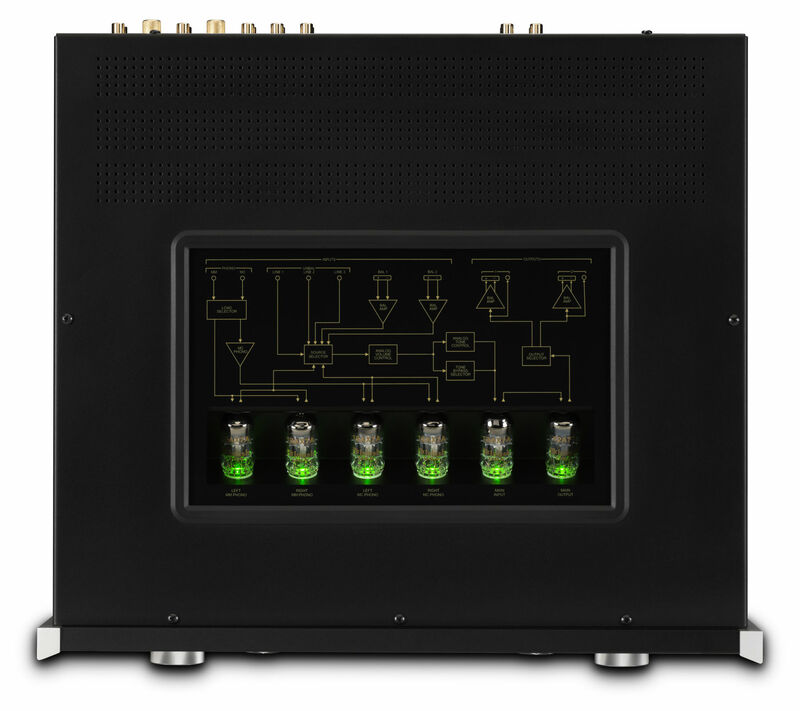 The C70 features one 12AT7 and five 12AX7A vacuum tubes that are visible through a glass panel on the top cover. All control operations are done via knobs and rocker switches. Modern LED indicators will denote input selection and volume level. 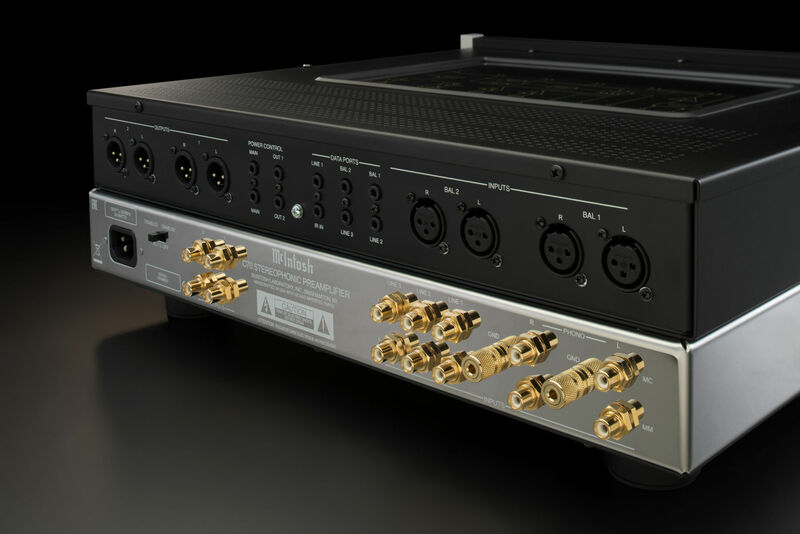 The C70 has seven inputs consisting of two balanced inputs, three unbalanced inputs, and one each of Moving Coil and Moving Magnet phono inputs. For outputs, there are two pairs each ofbalanced and unbalanced connections. On the front panel, bass and treble tone controls are included and can be adjusted in 2dB increments via rotary knobs. Rotary knobs are also used to adjust the impedance and capacitance for the phono inputs. In addition to controlling the listening level, the volume knob can also adjust the relative volume balance between the left and right audio channels. 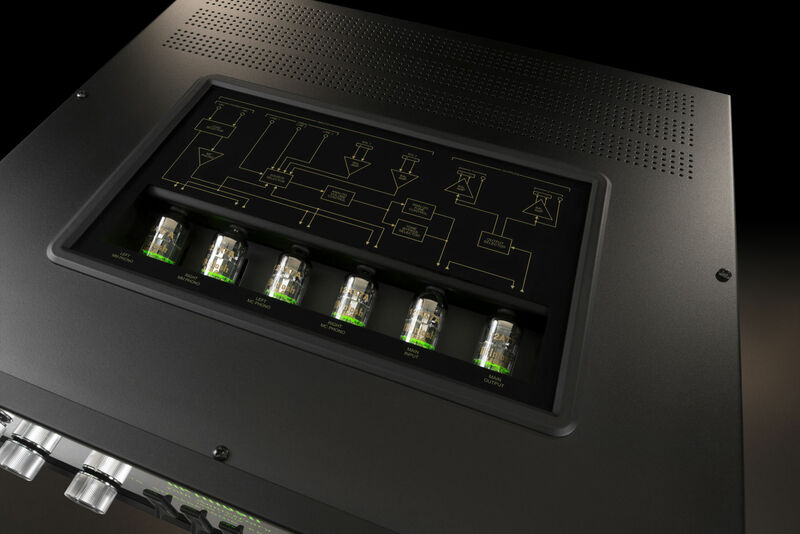 A ¼” headphone jack powered by our High Drive headphone amplifier is included and features our Headphone Crossfeed Director (HXD®) technology. HXD brings added dimension to your music in a natural sounding way but can be turned off depending on your preferences. Five rocker switches are used to control the following functions: tone control on/ off; change between mono and stereo mode; HXD on/off; and to turn the independent output 1 and output 2 on/off. 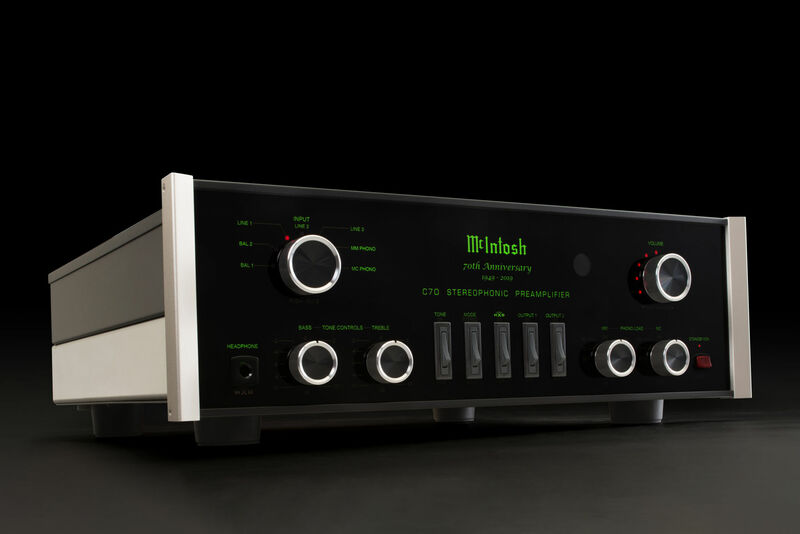 The C70 sits atop a beautiful polished stainless steel chassis and features the timeless McIntosh black glass front panel, illuminated logo, control knobs, and aluminum end caps. 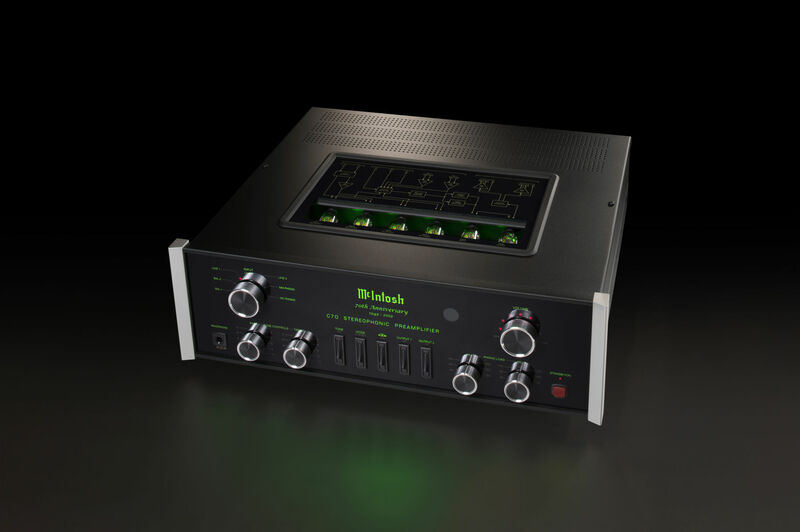 Our Power Control technology is included with four ports that can automatically turn other connected McIntosh components such as amplifiers, CD players or turntables, on and off. 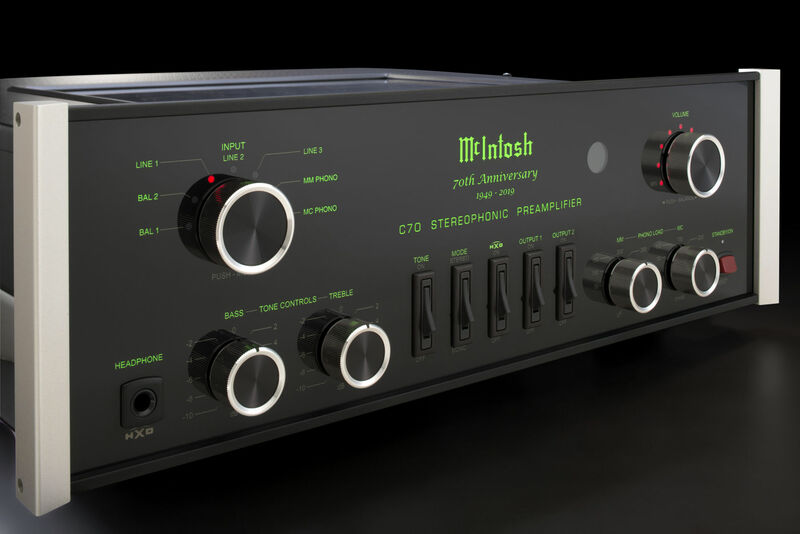 Data ports are also present and can control basic functions of connected McIntosh source components via the C70’s remote control.